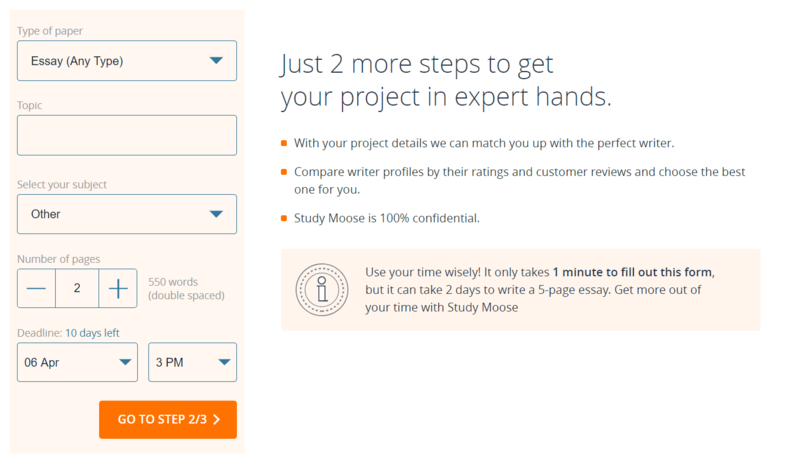 StudyMoose is an essay writing service that offers both free and paid services. Anyone can sign up on the website for free. This easy-to-use service allows you to browse a number of pre-written essays. If you want more, you can use the paid writing service. StudyMoose has a variety of clientele from high schoolers to doctorate students. The company is based in the U.S. and guarantees original works. As there has been already mentioned, Study Moose offers a combination of free and paid services. You can browse pre-written essay samples for free on the website. Indeed, there are papers covering a variety of topics. However, the collection notably lacks essays on specialized topics. Other than essays, the website has a good collection of articles, blog posts, flashcards and even such a useful tool as a plagiarism checker which you can use entirely for free. So, this source is quite excellent to use if you’re preparing to write an academic paper. If you don’t want to write the paper yourself, Study Moose can help you by offering an essay writer for hire. On the website, you can find three paid services for writing, editing, and assessing an essay. So it’s the whole package. Writers are available from high school to doctorate level. Other than essays, the writers can also provide you with research papers, term papers, reviews, capstone projects, articles, lab reports, and dissertations. You need to sign up for the paid service. Once you are registered, it’s easy enough to place an order. The site only requires some basic information like the topic and the number of pages. Then, available writers would bid on your project. You can finalize the payment with the best bidder before the assignment proceeds. The bidding process can be a bit irksome because of no fixed prices. You are at an advantage here mainly because the company doesn’t just get the paper written, but edits and assesses it as well. A professional assessor checks the essay for plagiarism and quality. So the final result you have in hand is just as ordered. The writers also upload a short resume for prospective clients to browse through. When we did this Study Moose review, we understood the writers to be professionals. The company does allow users to rank writers. However, keep in mind that rankings don’t always correspond to the quality of work. Reading the writer profiles would be quite helpful to understand who you are working with. In general, the writers can be quite demanding with the details but they are respectful and get the work done on time, and sometimes even earlier. Signing up for the paid writing service is available for every user. 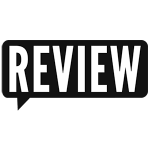 Separately from Study Moose reviews available on the web, we found out that the company charges $13.90 per page but the price will be changed if you need some complicated work to be done. So, the final price can vary depending on the writer because writers can bid on projects. While all orders start at the same price, you will have to pay more if you want the work done sooner. The cost of work can increase if the writer is more experienced or well-rated. You can negotiate prices with the writer. The big downer is that you can’t see the final price until the order is placed. We can say for sure with this analysis that the service guarantees all final work to be plagiarism-free. The company has a host of editors, separate from the writers, to check each and every paper for any sign of plagiarism or copy-paste. The final work is guaranteed to be fully original when it’s delivered to you. The service offers truly top-notch customer support to clients as far as we could tell. Most online services offer only live chat support. However, this service has a number of ways to get in touch, including a telephone number, a real address, email, and even via social media. We tested each supported method and are happy to say that there was a customer representative on each channel. Our requests sent via any method and promptly responds quite quickly. It’s clear that the company values customer comfort and feedback. Obviously, you may want to ask is this service legit? The value of an online essay writing service depends on the quality of work. And this service can stand on top. The online company pays special attention to how well the orders are completed. The sample essay we requested was well-written with a clear structure and legitimate citations. It looked very much like a paper a college professor would submit. The final paper goes through a plagiarism checker for additional accuracy. It certainly shows in the final product that the paper is original and meets the necessary standards. Is Studymoose Legit and Reliable? Is StudyMoose reliable to deliver a paper on time? It is. The writers are pros at delivering according to deadlines. Some users even say that their paper arrived several days before. Overall, the service is highly reliable and doesn’t miss deadlines. Some online essay writing services are just scams trying to rip you off but this service seems to be the real deal. We had several papers written with no issue. Overall, StudyMoose is a reliable essay writing service. It guarantees original work and delivers on time. It’s one of the few services that offers a plagiarism checker for free without charging extra.